Dryer Vent Cleaning Renton , If you would like to enjoy quality cleaning services, call us today at (206) 319-5980. Our services are offered to all residents of Renton WA. Our rates are competitive and our working hours flexible to ensure that you get value for money once you utilize our services for leaning the air in your home. Call us today at (206) 319-5980 and we will do the best we can to offer you services on the same day. If you notice any or all of these signs, it might be a sign that you need to call an air cleaning company. By having the dryer vents cleaned, this will allow you to get rid of the moisture and heat generated in the dryer. If this warm humidity is not extruded from the vents, it could even cause your dryer to catch fire. Every year, there are thousands of dryer fires, and some cause serious incidents. Why Pick Our Dryer Vent Cleaning Renton Services? One of the reasons to pick our services is that we are professionals. We understand how to clean any dry cleaners that you may have in your home. After we are done, we also know how to put the cleaner back together. Besides that, our certified technicians will use high-quality equipment for the dryer duct cleaning. Once we are done, you will immediately begin to experience the benefits of our dryer vent cleaning services. Your clothes will dry much faster, and your cleaner will not generate as much heat as it did before. Besides that, you will have lengthened the life of your dryer, especially if you clean your dryer vents at least once a year. With time, the lint builds up in the vents of your dryer could cause a fire in the house. Besides leading to the loss of priceless artifacts, it could lead to the loss of precious lives. Our services are not only saving you money, but they could also save your lives. Each year, data shows that about 15,000 dryers catch fire and lead to approximately 97 million dollars in losses. If your dryer requires more than a single cycle to dry your clothes, it will mean it is using a lot of energy. It could increase the amount of energy your dryer uses by three times. No matter what problem your dryer ventilation may have, we will resolve it. 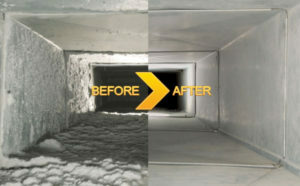 Most houses have never had their vents checked by an air duct cleaning service. To get started on cleaning the air in your home, call us at (206) 319-5980.